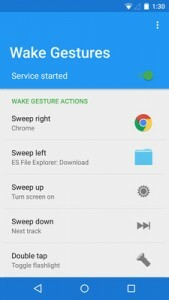 This app allows you to assign custom actions, shortcuts or launch applications with sweep2wake and doubletap2wake gestures. 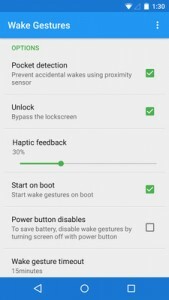 It also features pocket detection and adjustable haptic feedback. Compatible with ElementalX kernel on Nexus 6P, Nexus 5X, Xiaomi Redmi Note 3, OnePlus 3, Nexus 6, Nexus 7, Nexus 5 and HTC One m7 and Nexus 9.